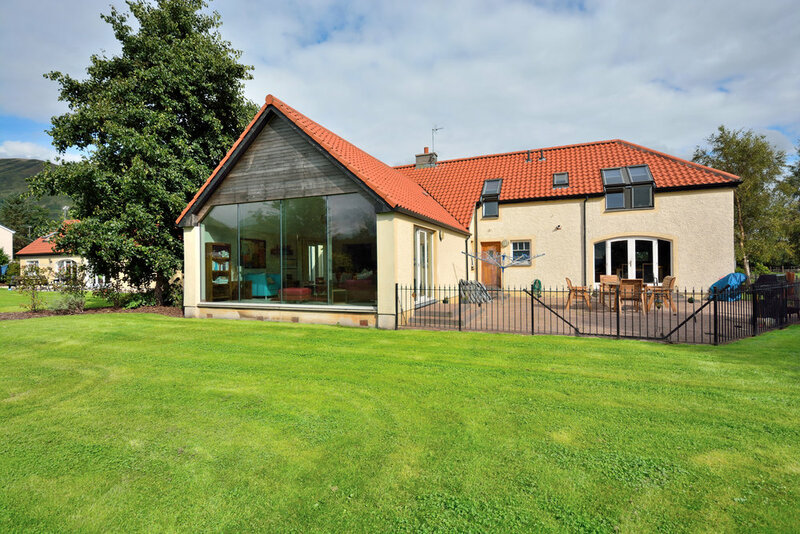 Situated at the southern edge of the Clackmannanshire town of Alva, THE BOLL presents a truly unique offering of stylish modern architecture and interior design, juxtaposed with a traditional farmhouse cottage and courtyard steading development. The Boll comprises a courtyard development of three main buildings which form Boll House, the Cottage and the “L-shaped” building housing 4 holiday units all set within landscaped grounds of over 3 ½ acres. Built in 2000 to an extremely high specification, Boll House provides generously proportioned accommodation including 5 bedrooms, a large open reception hall & sitting room, a dining kitchen, laundry, utility room, office and a large double garage. The property has been tastefully decorated and maintained to excellent order and is available in truly “walk-in” condition. 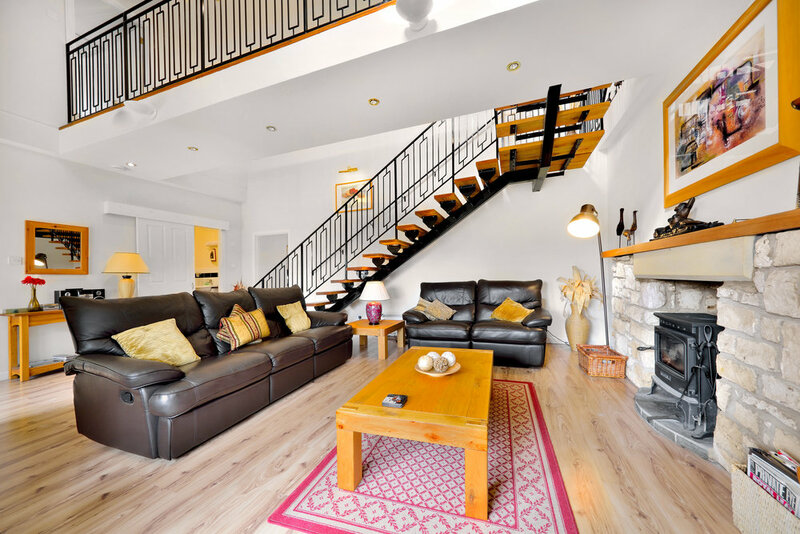 As would be expected from such a carefully designed house The Boll is double glazed and has under-floor heating throughout in addition to the solid fuel stoves which form a very attractive and welcoming focus in the reception hall. Beyond the main reception hall, the siting room is an extremely bright and airy room with vaulted ceiling and west-facing glass wall providing exceptional levels of natural light and uninterrupted views over the garden grounds and fields beyond. The property benefits from planning permission for 6 new holiday rental units in the grounds. Because this has been partially implemented, the planning permission will now run in perpetuity. More details are available.